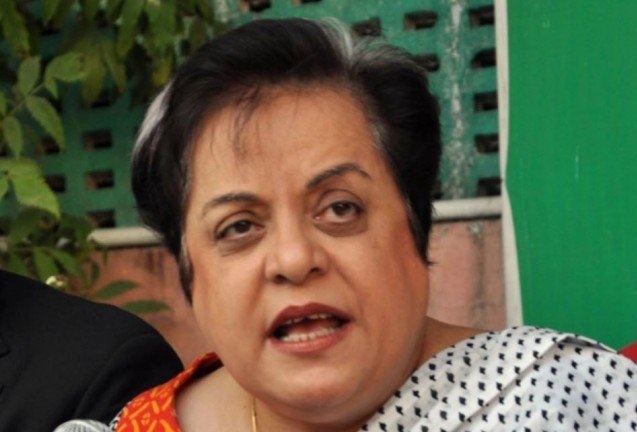 ISLAMABAD: Minister for Human Rights Dr Shireen Mazari on Wednesday expressed surprise over the United States (US) administration’s decision to add Pakistan to the “blacklist for religious freedom violations” and said it was apparent the US was using it as a political tactic to mitigate its failures in Afghanistan. “The timing of this move reflects this most clearly,” she said in a statement issued by the ministry and added that Trump needs to be reminded of Prime Minister Imran Khan’s pledge to the Pakistani nation that the country will only act in its own interests and not be a “hired gun” for any other power. She said that there was no doubt that Pakistan’s record on religious freedom was not ideal but it was still better than the European Union’s record; given the restrictions on churches, the banning of certain dress codes of Muslims and refusal of entry of certain preachers to name a few. “The timing of the US move smacks of pure political blackmailing because it comes in the wake of Pakistan opening the Kartarpur Corridor to ease access for the Sikhs of India to their religious places as well as assisting Hindu groups to enter Pakistan for religious purposes when India has sought to prevent Muslims from Pakistan visiting Ajmer for religious purposes,” Mazari added. The deliberate ignoring of India’s shrinking space for its religious minorities by the US, while it targets Pakistan is absurd and unacceptable, the human rights minister said. It seems, she said, that the US is ignorant to the large and diverse presence of Christian churches in Pakistan. “I would like to educate the Trump administration on this count,” Mazari added. Earlier in the day, the Trump administration had exempted Pakistan from sanctions that affect the countries added to the US’ annual list of nations violating religious freedom. US Secretary of State Mike Pompeo had waived the sanctions in the “US’ national interest”.